Have you ever wondered where the waste you generate ends up? Disposal of waste in a landfill involves burying the waste, and this remains a common practice in most countries. Landfills were often established in abandoned or unused quarries, mining voids or borrow pits. A properly designed and well-managed landfill can be a hygienic and relatively inexpensive method of disposing of waste materials. Older, poorly designed or poorly managed landfills can create a number of adverse environmental impacts such as wind-blown litter, attraction of vermin, and generation of liquid leachate. Another common product of landfills is gas (mostly composed of methane and carbon dioxide), which is produced as organic waste breaks down anaerobically. This gas can create odor problems, kill surface vegetation, and is a greenhouse gas. Incineration is a disposal method in which solid organic wastes are subjected to combustion so as to convert them into residue and gaseous products. This method is useful for disposal of residue of both solid waste management and solid residue from waste water management.This process reduces the volumes of solid waste to 20 to 30 percent of the original volume. Incineration and other high temperature waste treatment systems are sometimes described as “thermal treatment“. Incinerators convert waste materials into heat, gas, steam and ash. Incineration is common in countries such as Japan where land is more scarce, as these facilities generally do not require as much area as landfills. Waste-to-energy(WtE) or energy-from-waste (EfW) are broad terms for facilities that burn waste in a furnace or boiler to generate heat, steam or electricity. Combustion in an incinerator is not always perfect and there have been concerns about pollutants in gaseous emissions from incinerator stacks. Particular concern has focused on some very persistent organics such as dioxins, furans, PAHs which may be created which may have serious environmental consequences. Recycling is a resource recovery practice that refers to the collection and reuse of waste materials such as empty beverage containers. 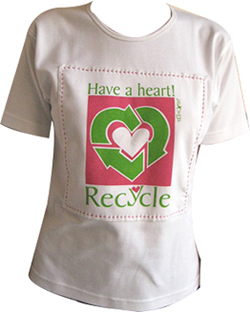 The materials from which the items are made can be reprocessed into new products. Material for recycling may be collected separately from general waste using dedicated bins and collection vehicles are sorted directly from mixed waste streams and are known as kerb-side recycling, it requires the owner of the waste to separate it into various different bins (typically wheelie bins) prior to its collection. The type of material accepted for recycling varies by city and country. Each city and country have different recycling programs in place that can handle the various types of recyclable materials. However, certain variation in acceptance is reflected in the resale value of the material once it is reprocessed.